You need a good one person tent! Because 2 person tents are unnecessarily heavy and large for a solo mission. Read on for reviews of the best solo backpacking tents available right now and what you should consider before choosing one for yourself. 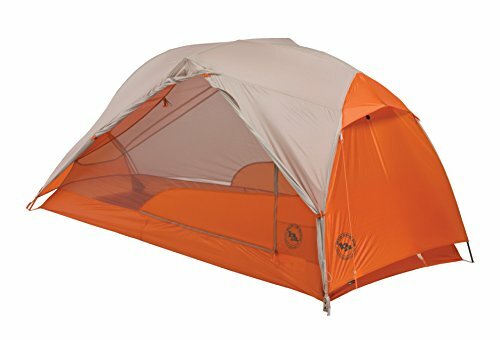 What is the Lightest Backpacking Tent? 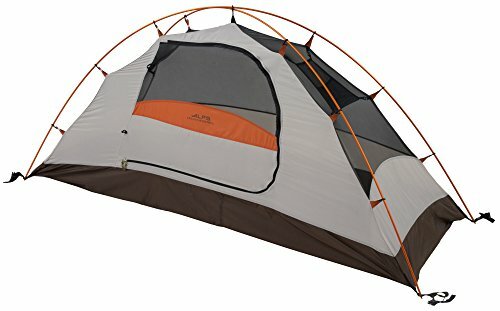 What Should I Look for When Buying a Tent? 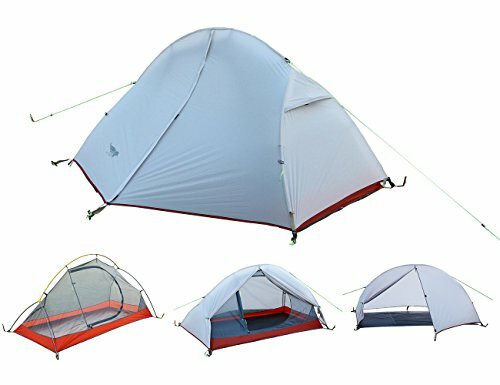 What Does 3 Season Tent Mean? 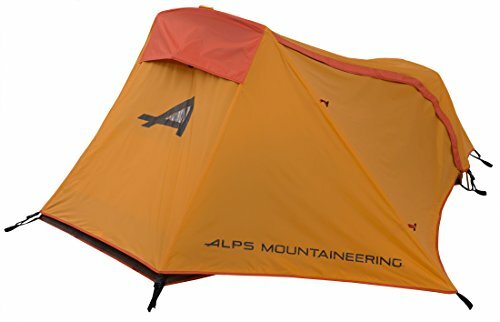 What is a Good Weight for a Backpacking Tent? Review: The Big Agnes is a high-performer for solo hikers that want extra space and comfort. You’ll love the interior living space provided by the steep wall construction and crossover pole. It is a freestanding, ultralight backpacking tent designed for 3-season outdoor activities. Simple steps to set up. The floor material is thin and benefits from use of a footprint, sold separately. If you have to spend on the high-end tents, the Big Agnes is the best 1 person backpacking tent you can get and the best 1 person tent 2019.
Review: This is a compact tent with a slightly slanted roof that will allow rain to roll right off to the ground. The tent is 3’ 6” wide by 7’ 10” long, with a peak height of 3’ which adds up to 21 sq. ft. of usable space inside of the tent. It weighs 4.36 lbs. and packs down to 6” x 6” for convenient transport. The fly and the floor seams are factory-sealed for waterproofing. Tent uses a 2 pole design, and the poles are constructed of a reliable 7000 series aluminum. Comes with all the accessories you’ll need for setup, including the stakes and ropes you’ll need to anchor this tent to the ground in windy weather. This is only a three season tent – it shouldn’t be used during heavy snowfall, even with extra winter gear. 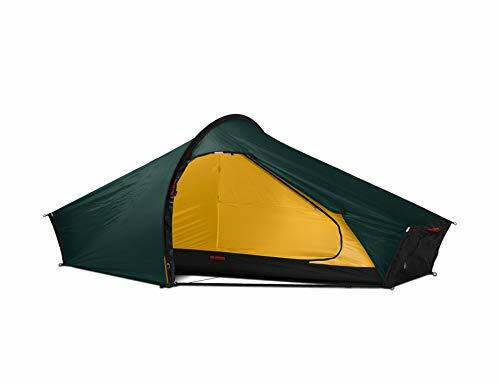 If you’re looking for a tent that will keep you cool in the summer and spring while keeping you warm enough to sleep during a cold rainy night, this is the tent. Review: This is an affordable, spacious and reasonably lightweight tent. The base size is 7.5’ long by almost 3’ wide which adds up to 20 sq. ft. of floor space. It’s shaped like a half moon with a peak of 3’ and weighs about 4 lbs. The walls of this tent feature a mesh construction that helps to increase ventilation, and the seam-sealed rain fly and ground sheet offer good weather protection. The large vestibule is an exceptional attribute of this tent as it provides enough space to store other gear. There are also mesh pockets where you can keep essential items like travel documents. If you’re six feet tall or taller, you may not be able to sit up inside the tent. However, you will have more than enough space to lay down. 4 lbs isn’t a lightweight as it could be for a one man tent. Most people would consider this to be the best one-man tent for backpacking. It’s versatile enough for many weather scenarios, and the sealed bottom is perfectly waterproof. 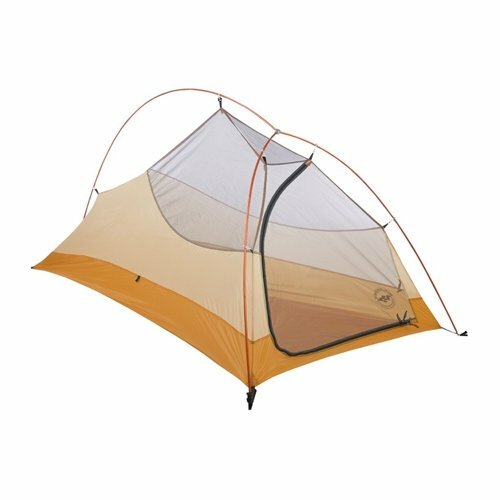 Review: This tent is exceptionally compact. It’s 92” long by 34.62” wide and 27.9” tall. The brand is called Snugpak for a reason – they specialize in low profile sleeper tents. The carry weight of this tent is about 2.5 lbs, so it’s hard to find a tent that’s lighter than this one. It packs away to be 17” long by 5.25” wide. All of the seams are taped and sealed to protect you from the elements. The tent mesh is designed to keep even microscopic insects away, particularly no-see-ums that have a tendency to break into most tents and leave campers feeling itchy. The tent’s zippers are low quality. Although the brand markets this as a 4 season tent, it’s better as a 3 season tent. It isn’t very insulated, so you’ll want an exceptionally heavy sleeping bag for winter camping. This tent is an excellent option for solo travelers who don’t mind living in a small space. Review: The tent sleeps one person in roomy living space enhanced by Eureka’s V3 system. The system provides for increased ventilation, volume and flexibility by boosting the fly, body and frame features. Quick to set up and pack away. The Midori solo is a great backpacking tent for the money. If you love watching the stars at night, this is the best one man hiking tent that will do the trick. Review: This top of the line tent is super lightweight due to the Kerlon 1200 outer fabric that is naturally light. The outer goes all the way to the ground to ensure protection against external elements. 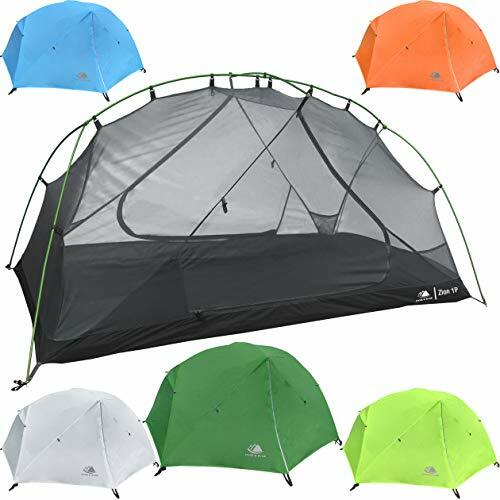 It comes with 9mm poles that ensure the stability of the tent. Comes with vestibule for storage. This is the best ultralight 1 person tent and the best 4 season 1 person tent. Review: Teton Sports makes a variety of portable camper’s tents. Their 1 man tent is perfect for anyone who plans to travel alone. The interior is 82” long by 32” wide, with an impressive 39.5” height. It weighs about 4.5 lbs. and packs down to a cylinder-shaped drawstring carrying bag. 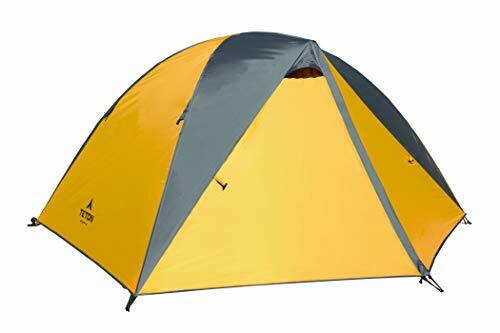 This tent has extra high walls providing for more headroom than most other solo hiking tents. The corners and seams are well taped and together with the bathtub floor design, they make this tent a great protector against outdoor elements. Quick to set-up and pack away. Protects well from harsh conditions. The zippers are less sturdy. This one person tent provides great value for money and liveable space. Review: At just 2.1 lbs. 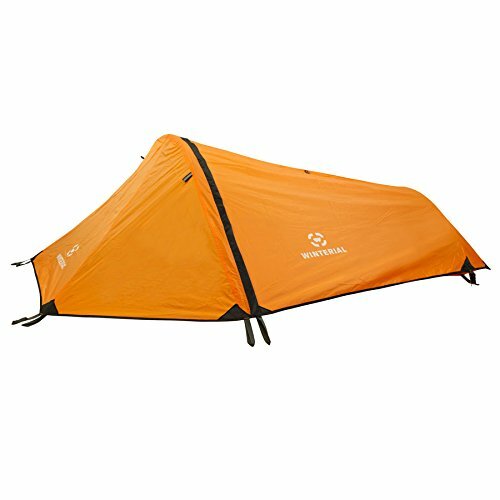 this model from Big Agnes is very lightweight and yet comfortable to spend time in. The award-winning tent features a high volume design for you to move, sit up, change clothes and organize your gear. Big Agnes are known for producing tents with a high level of liveability. Mesh pockets for organizing gear. This is the best lightweight 1 person tent for the weight conscious backpacker. 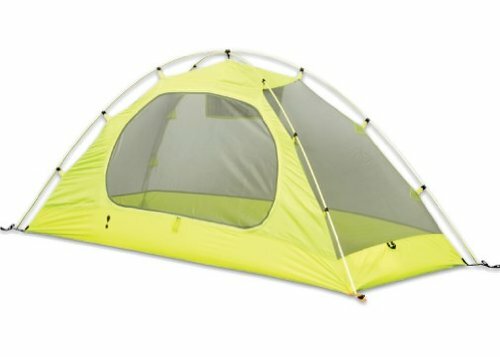 Review: This is the lightest tent on this list weighing in at just 1 lbs. 7 oz. It gets its name from the carbon poles which are very light and very strong, and is in keeping with more of a tarp style design than other tents. Streamlined design and strong poles make for great wind resistance. Very easy to put up considering it’s not freestanding. Reasonably spacious inside for such a compact tent. Not freestanding – but this is where most of the weight savings come from. The rain fly door uses Velcro instead of a zipper which maybe wasn’t the best design idea. This is the best lightweight 1 person tent if low weight and high wind resistance are priorities. Review: The Nemo Hornet is an excellent ultralight tent for weight conscious backpackers. It is semi-freestanding, double walled and provides a good amount of liveable space for an ultralight one man tent. It also boasts an excellent pole system using DAC Featherlite poles in a very resilient and yet easy to set up formation. Large vestibule provides plenty of space for gear storage. High bathtub floor with vertical walls for efficient use of space. Effective ventilation between rain fly and mesh inner. The tent material is thin (to save weight) and will careful looking after to prolong its life. The Nemo Hornet is another example of the best one person tent for backpacking giving an excellent weight to price ratio while maintaining quality. Review: The Hubba NX1 is a very popular, completely freestanding 3 season tent that weighs in at just under 3 lbs. It’s not as lightweight as some one man tents, but the extra weight provides a little more durability. Very good head and foot room. Carbon fiber poles are lightweight, durable and resilient in the wind. Rain fly vents and plenty of mesh combine to provide good ventilation. 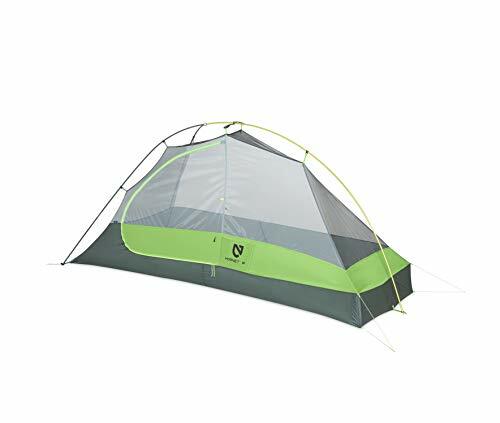 This could be the best 1 person backpacking tent 2019 for its balance of low weight, high durability and large liveable space. Review: If your budget doesn’t quite extend to some of the high end tents above but you are sensible enough to avoid going the truly budget route, the Hyke & Byke Zion is an excellent compromise. It is affordable while also remaining reliable and will last a long time if looked after properly. The total weight is 4.47 lbs. or the minimalist set up with fly and footprint is 3.09 lbs. which is a little heavier than the more expensive tents but still lightweight. Comes with a footprint and gear loft which makes this tent even better value for money. No-see-um mesh is very fine and effective against insects of all sizes. Large internal dimensions (88” long by 37” wide and 42” high) provide plenty of liveable space with 2 large vestibules for gear storage. About as heavy as you’d want to go for a one man tent. This is the best one man tent for backpacking on a budget while retaining reliable quality. 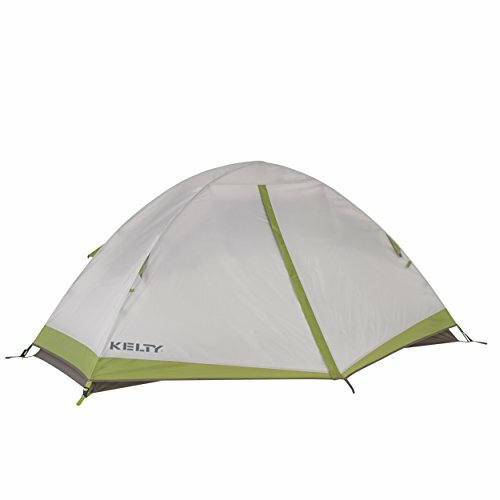 Review: The Kelty Salida is another reliable option at the cheaper end of the spectrum, but that maintains excellent quality at the same time. It is a freestanding 3 season tent that uses the classic dome-shaped cross pole formation, being quick to set up and easy to take down. Made of durable 68D polyester and 40D no-see-um mesh. 3 lbs. 14 oz packed weight and 3 lbs. 6 oz. trail weight. Large 20 sq. ft. floor area. Not suited to hot weather. This is another of the best one person backpacking tent options for hikers on a budget looking for a reliable, lightweight tent. Review: This is a low profile and affordable bivy style tent that is a great option if you’re on a budget and want to keep the weight down while still having protection from insects. It is a non-freestanding, 3 season tent that is perfect for sleeping provided you don’t expect to be able to hang out and cook inside. Impressively waterproof and storm worthy. Manages to be pretty lightweight despite its low price (3 lbs. 3 oz.). Easy to assemble despite not being freestanding. It’s wide enough to squeeze in a second person (provided you’re comfortable with getting cozy). The tent floor is not very durable so would be best paired with a footprint. Too short for people over 6’. 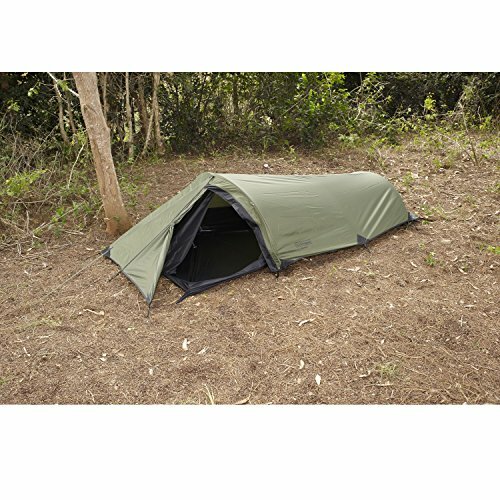 This a very impressive tent considering its low price, being weatherproof and lightweight. But, it will need to be looked after carefully to maximize longevity. 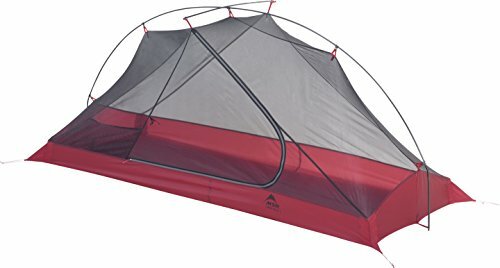 Review: This is a 2-3 season silnylon tent that is lightweight (3.3. lbs.) and very affordable. It is a touch less durable and a touch heavier than more expensive tents, but for this price point, it is impressive. It is definitely one of the lightest tents on the market for its price. Spacious interior with steep walls at the head end. Easy set up with one conjoined aluminum pole. Rain fly vent at head end provides extra ventilation. Freestanding rain fly can be pitched with just the footprint for a lighter set up. It’s a little awkward getting in and out of the door while it’s raining without letting rain into the tent. This is the best 1 person ultralight tent for under $100. It doesn’t have to be hard to find the best 1 person backpacking tent, especially if you know what to look for. Being familiar with the best camping tent brands and knowing a little about solo camping is a good place to start. Solo tents for travelers have little in common with the larger tents that families would use for a weekend trip out to the woods. These tents need to be made differently since they’re intended to be used in a completely different way. Understanding these differences can help you find the perfect tent. The best 1 person backpacking tent needs to be made of a material that’s both durable and lightweight. Some larger tents designed to be set up and left alone, like family tents for week-long camping trips, incorporate heavy materials like canvas. You can’t carry these heavy materials around with you. They may be durable, but they’re also too heavy to hike with. Cheap solo tents can be made of materials that are the same quality as a thin tarp. These will tear apart as soon as they come into contact with strong winds or debris from trees. Look for high denier mesh, polyester, and ripstop nylon that are either impregnated with silicone (silnylon) or coated with polyurethane (PU). These are durable enough to withstand many uses, but not too heavy to haul around during your travels. The best one man hiking tent will be easy to set up and take down. This means it can be erected with as few components as possible. Freestanding tents are the easiest and quickest to set up and take down. They usually come with a fixed pole that can be pitched anywhere including on solid ground or rock. Non-freestanding tents come with stakes, guylines and trekking poles which are used for setup. Although they save weight, they take time to set up and master the trick, especially on hard ground. It’s usually assumed that the larger the tent is, the more weight it adds to the pack. Try to strike a good balance between weight and liveability. Waiting out a storm in a cramped space is no one’s idea of fun. If you are over 6’ tall, you definitely need to consider the tent’s length so you’ll have enough room for your legs while sleeping. The same goes for the height of your headroom. The best one man tent for backpacking will always leave some space for keeping your gear sheltered from the weather too. Look for good sized vestibules for gear storage. However, if you think you might want some extra space, there are some excellent 2 man tents available that are still really lightweight. You’re going to have to carry this tent around with you, and if you’re traveling by yourself, you won’t have anyone else to help you lug your gear. The best one person tent should be able to fit into a compact bag that you can easily fit in your backpack without adding too much weight to your load. The rule of thumbs is to keep it light. A few pounds may not seem like a big deal but it’s undeniable that backpacking trips are more enjoyable with less weight. Just imagining waking up the next morning to hike with a heavy backpack is a real morale killer, especially on extended trips. The kind of tent you should buy largely depends on the weather conditions it will be exposed to. If you’re camping in the heat, you want a tent that’s made of breathable fabric with plenty of mesh. Tents that will be used in wet conditions should be designed to be waterproof with high bathtub floors and full coverage rainfly. Tents for winter camping will require a high level of waterproofing, as well as a strong pole formation to cope with wind and snow loading. Check out our article on the best waterproof tents if you know that the majority of your camping will be in wet weather. Most people will be very happy with a 3 season tent. 3 season tents can be used in the summer as well as low altitude winter conditions provided you also have a good sleeping bag, sleeping pad and good thermal base layers to wear. Double-wall tents come with the tent body plus a rainfly. The inner tent is usually a mesh construction that protects against interior condensation. Single wall designs minimize weight by integrating the two layers together while providing room for ventilation to limit condensation. There are some excellent single and double wall options for solo backpackers. It really comes down to weight, condensation and how well you set it up. This is a trade-off between weight and durability. If you don’t mind adding a little weight while promoting durability of your tent’s floor, consider carrying a footprint. It protects against abrasion and will make your tent last longer. Most tents don’t come with footprints so you’ll have to spend a few bucks to pamper your tent. But the extra life you give it may be worth the extra dollars. The lightest backpacking tents are made by ZPacks, Gossamer Gear, and Six Moon Designs. However, part of the reasons these tents are light is because they use hiking poles instead of tent poles. 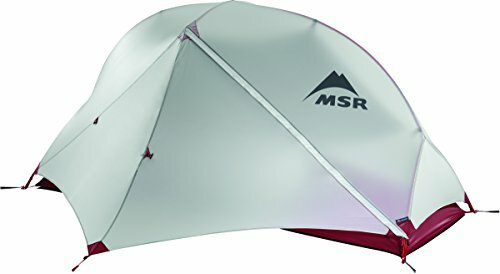 The Lightest tent on this list is the MSR Carbon Reflex which uses carbon fiber poles to minimize weight. A backpacking tent is a tent designed to be easy to transport in a backpack on a multiday hike. This means it is lightweight and packs into a small package while also being strong and weatherproof. Durability and weatherproofing are really important. Tents should absolutely not be considered single-use purchases. Look for a good quality tent that will last a long time and keep you protected from the elements. A 3 season tent is a tent which is designed to be safe and comfortable to use in spring, summer and fall, meaning it can cope with all weather conditions except harsh winter and snow. A freestanding tent is a tent that doesn’t require staking into the ground to stand up. This is extra useful when you have to camp on hard ground or rock and can’t use stakes. Single person backpacking tents can range from just over 1 lbs to around 4 lbs. Around 2 lbs. is an ideal compromise of weight and durability. The best one person tent is whichever tent will make your camping trips easier and more enjoyable while keeping you safe and protected from the elements. Usually, lighter is better. But, it’s also worth prioritizing liveable space and waterproofing. Feel free to share your thoughts in the comments below and make sure you download a copy of our free ebook if you haven’t already.